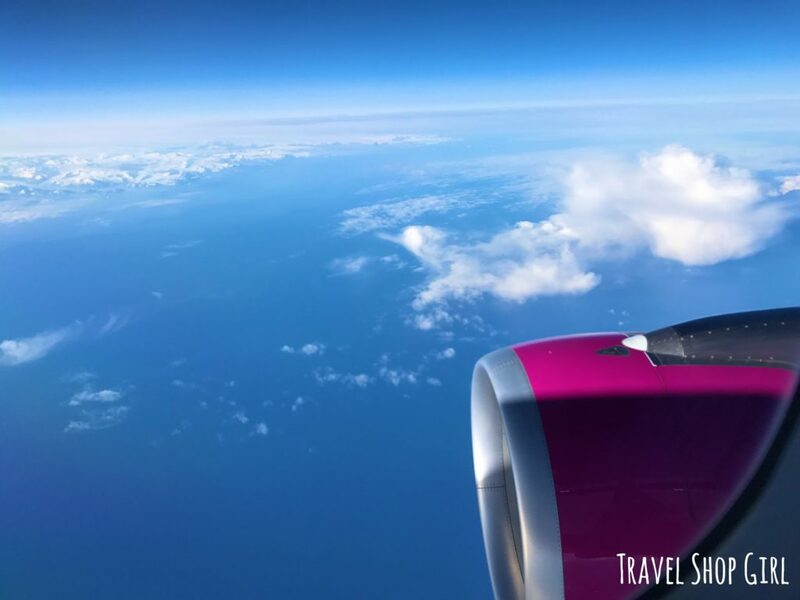 You’ve probably heard by now about WOW Air, the low cost, budget airline from Iceland that offers flights to Europe from the United States. 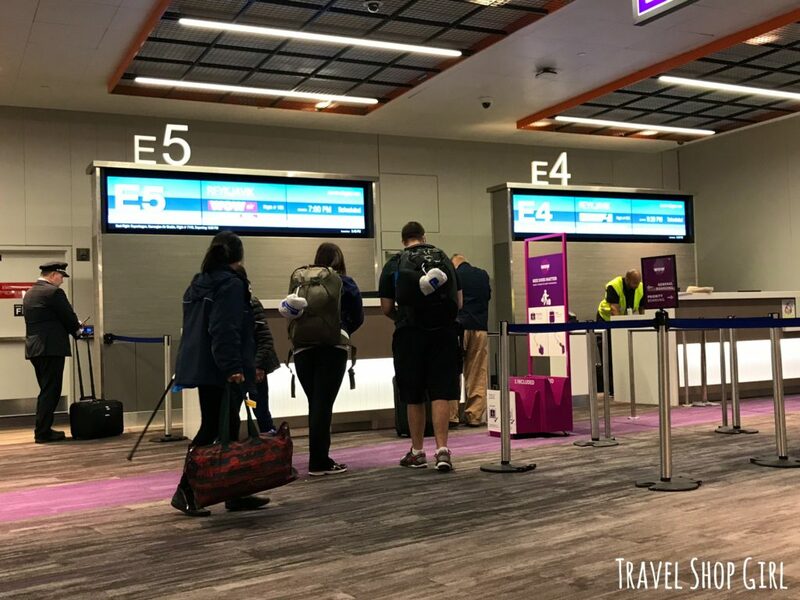 But before you start to think I’ve lost my mind, technically WOW Air doesn’t have Business Class seats on their flights, but they do offer a WOW Biz class of service. To reiterate, WOW Biz is not a class of service on the plane that’s comparable to Business on any other airline. Instead, think of it as paying for your services in advance all at once instead of paying for á la carte service at the airport. 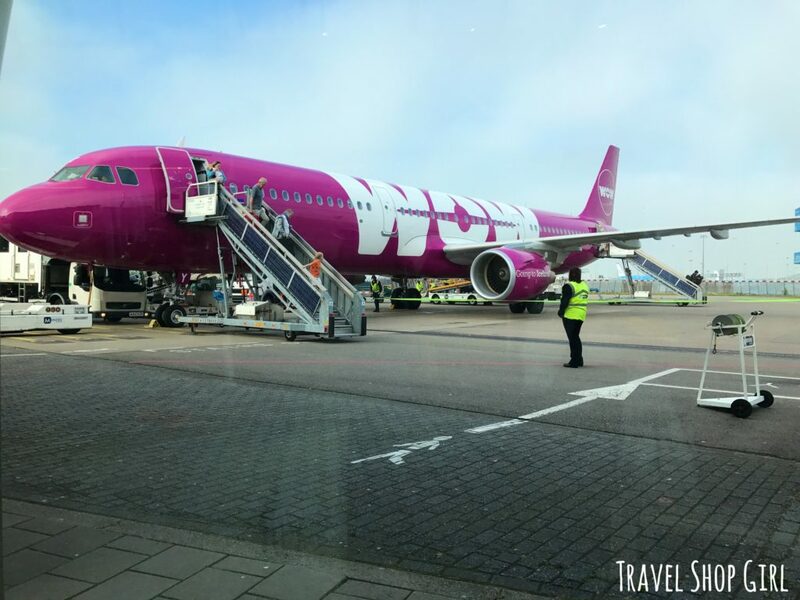 Since I hadn’t flown with WOW Air before, I was excited to try this airline out for my trip to Amsterdam. Checking in at Boston Logan International Airport was fairly quick although I immediately noticed issues. Several people in line were trying to argue the point that their luggage was appropriately sized. Ticket agents will make you place your bags in the carrier near the lines to see if it fits. A few people had to take their luggage on a walk of shame back to seats near the entrance of the airport to repack or pay to check their bag. The website clearly shows luggage size and weight and I highly recommend reading all of the possible charges that can and will be charged so there are no surprises. You can pay for your bag charges in advance, too, and if you do you’ll save more instead of paying at the airport. 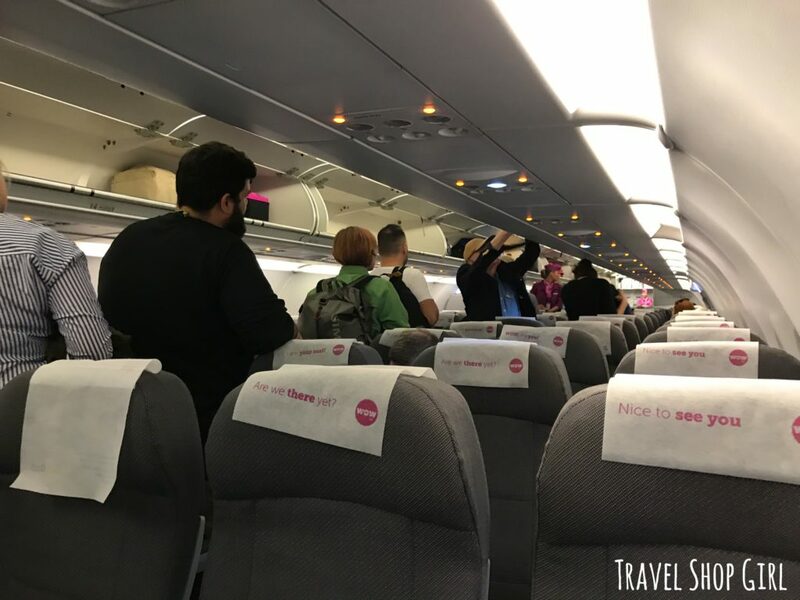 Since WOW Air is a budget airline, that meant I was going to go through the security line with everyone else without any special lines for Business Class. The line was long and slow to get through security and all I could do was grin and bear it. Once through security, I decided it wasn’t worth going to the Air France lounge for maybe an hour. Instead, I walked around, bought a bottle of Vitamin Water Zero and Dasani sparkling water, and a coffee from Starbucks. Eventually I decided to walk over to gate E5 and wait for boarding. The gate agents were regularly calling up passengers even up until the time of boarding. WOW Air flight attendants in Boston – Doesn’t this look like a 60’s airline advertisement? When boarding time did arrive, there was zero organization. Normally people queue up but this was a random group in no order near the gate. I asked someone if she was in line and she flippantly responded how yes, she was in line and no, the plane wouldn’t leave without us. Did she think this was my first ever flight? After advising those with children, those needing extra time to board, and priority boarding could board, we waited something like 20 minutes in the cold gangway. Having people wait here is completely ridiculous considering those with children or disabilities are expected to just hang out patiently to board in this area. Once onboard, I located my seat, 11A, which was near the exit door and didn’t have a seat in front of it. This seems like a great idea, but not having that seat means no under seat storage. The seat back pocket is on the wall near the floor, which I didn’t initially notice. I had one of two options from my window seat if I needed to get up. I could scoot past the two women in seats B and C or walk through the small space that would get me out by row 10 on the left hand side. During meal service they seemed surprised that I wouldn’t accept food. “But it’s included” the flight attendant repeated to me. There wasn’t anything I could eat off the menu, which is basically a lot of sandwiches with meat. I had packed a snack size bag of nuts and seeds and called it a day. I had a few shows on my iPad I decided to watch as I opened the Dasani sparkling water. Apparently, it must have been shaken and decided to erupt like a geyser all over everything. Like the wall, my blanket and pillow, the floor, and of course, my iPad. I dried off the iPad immediately and put it away and listened to music for the remainder of the flight. The woman in seat B next to me was Roza, a friendly woman from Albania who’s now living in the Boston area. She usually flies with her husband but this time she was on her own and was a little nervous. 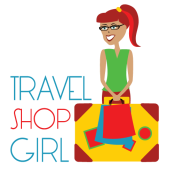 She didn’t know where to go or what to do and I felt her pain as she recounted her story of having to pay for checked luggage to the tune of $150. I could see how it could all be confusing for someone who doesn’t understand that free doesn’t exist anymore, especially for budget airlines. She didn’t bring any food or drink onboard and since my WOW Biz seat had extras, I ordered an extra bottle of water and gave it to her. The lights in the cabin stayed on the entire time. Why? Probably because the flight attendants come around constantly selling food and Duty Free items throughout the flight. That’s, of course, when they weren’t congregating near the front of the plane and chatting. Lights in the cabin were dimmed only during takeoff and landing and when the pilot spotted the Northern Lights. I purposely booked a seat on the left side of the plane for this reason and I was so glad that I was able to see them. There’s nothing else quite like the Northern Lights and watching them dance across the sky outside my window was amazing. Once the cabin lights came back on, it was impossible to see them clearly or to photograph them. 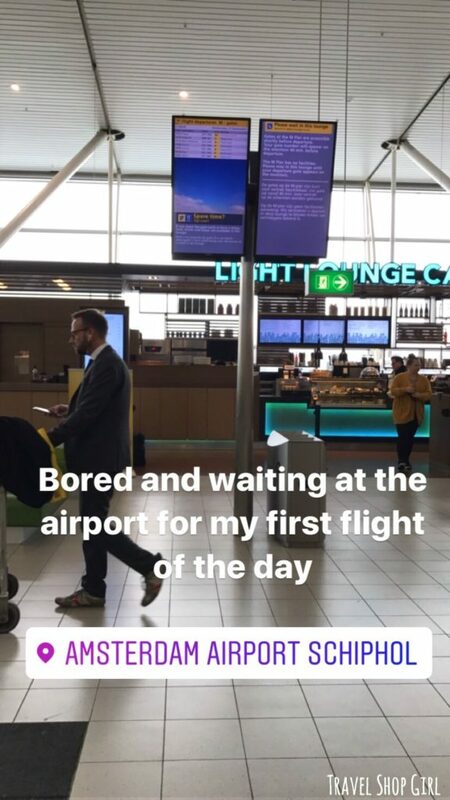 The flight landed at Keflavik International Airport 30 minutes early at 4:07 am. While this sounds great, my flight to Amsterdam was leaving at 6 am. I departed the plane with Roza in tow. Although I thought we would walk right over to the gate, I forgot that we would have to go through passport control. Less than 5 minutes later we were at gate C35 along with everyone else. When they finally announced boarding, one of the few perks of flying WOW Biz was Priority Boarding. I was able to walk right up and then have my boarding pass scanned while everyone had to wait. But unfortunately once again, they queued us up for 30 minutes in the gangway before allowing us to board the plane. I took ZERO pics for this flight after all the standing around and waiting. I sat in seat 1A, which besides no underseat storage, was a really great seat. First on and first off is always good in my book. My flight from Amsterdam to Keflavik meant I was departing from an M gate with few services. While there’s a duty free store, a bar, and a takeaway shop with sandwiches and beverages, there are no lounges. I arrived early to check in which meant I sat and waited for a while. Like others, there was lots of sitting until gate M07 showed up on the overhead board. Gate M07 has stairs going down and I walked down on the right to use the “priority boarding” lane. The gate agent checked my boarding pass and advised me to enter the lane to the left, which wasn’t priority. I asked her about priority, she was apologetic and sent me to the right side. I stood in Priority Boarding alone for the duration of my wait. The last person deplaned and I was immediately sent to board the plane. 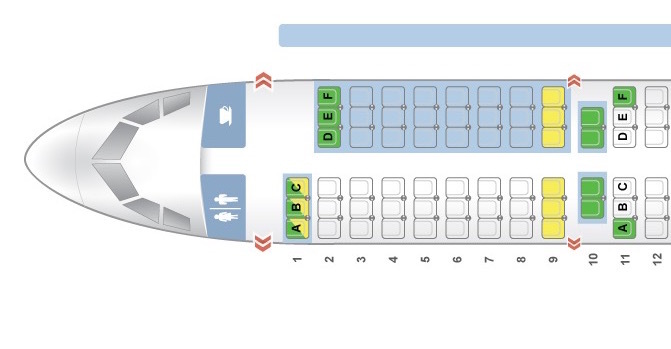 My seat was 11E on the WOW Air Airbus A320, which was like row 10 in the seat map below. The row was one of the few double instead of triple rows on the plane. Seat F behind me meant that the passenger could stretch out his legs next to me, which this guy did sans shoes. Why does that always seem to happen to me? For a 3-hour flight, do we really need to take off our shoes and snuggle up with blankets and neck pillows? Overall, this flight was uneventful and the flight crew was courteous, professional, and the flight quick and on time. Once in Keflavik, we had to go through passport control, which I’ll detail in my next post. Boarding for this WOW Air flight was fast, especially with priority boarding. I found my seat quickly, which was 11F on the right side of the Airbus A321. Again this plane had rows of three except for row 10. No one was sitting in the middle seat so it meant a little more elbow room for me. Our flight was delayed about an hour with no information conveyed to the flight crew or to us other than to say that there were passengers that had been delayed going through security. We didn’t know why they were delayed or why they held the plane for them, but they did. You have to kind of love the bright pink color of this plane. Ok, some may call it magenta or even purple, but regardless the color is bright and cheerful. The flight was easy with only small pockets of turbulence, but beautiful views out the window, especially of Greenland over the Greenland Sea. While I generally avoid conversations on flights with strangers, I enjoyed talking the entire flight with Vinny, a passenger from Massachusetts. You never know who you’ll meet so always stay open to the possibilities. When the flight attendants came around, I thought I’d order something to eat for my meal since I had skipped meals previously. 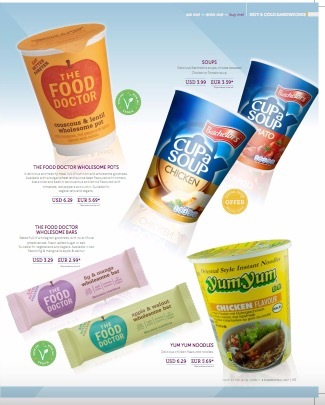 I decided to order the lentil and couscous cup, but as you can already guess, they no longer carry it. So I asked for the porridge cup (non-vegan btw), a water, and a chocolate bar that I planned on bringing back for Mr. TSG. 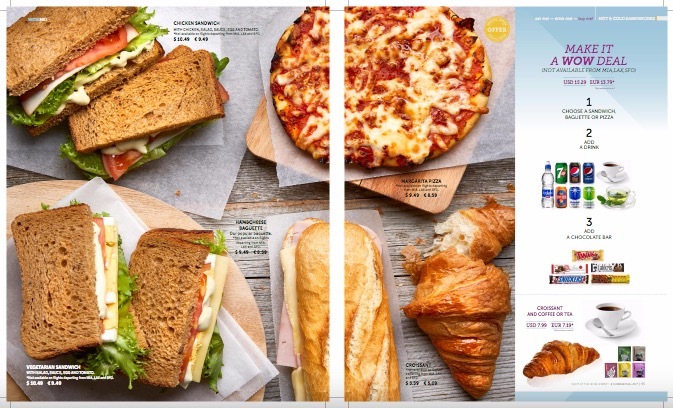 Apparently, what WOW Air considers a meal would be a sandwich and soda, pizza and beer, or a baguette and red wine. Instead of using a dollar amount, it’s two items that’s that. I was only allowed to have porridge and a bottle of water. I had to assure them that I didn’t get the bottle I was drinking from with them in order to get another bottle of water. C’mon people — it’s just water! While the flight was supposed to have been about 5 1/2 hours long, I sat far longer than that. Since we had the extra hour wait at Keflavik, I couldn’t wait to get off the plane and get home. 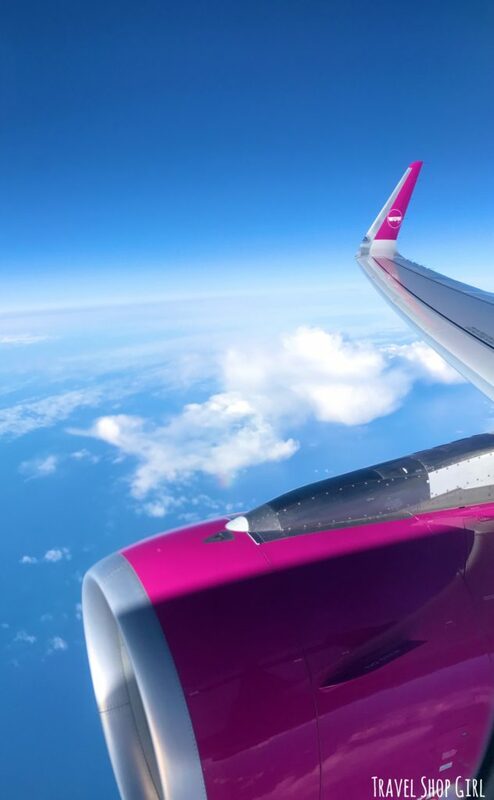 Overall, WOW Air is exactly what it proclaims itself to be: Cheap flights to Iceland and Europe from USA and Canada. While there’s no actual Business Class on this budget airline, it doesn’t proclaim itself to be more than what it is. Expect to pay for what you need as you go and expect to be nickeled and dimed along the way. There are zero freebies and the flight is like any you might expect with a short haul US domestic carrier. That’s nothing bad if that’s what you’re expecting, but disappointing if you’re expecting more. 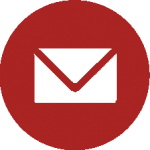 My biggest advice is to price out all of the costs associated with any budget carrier before you buy. Compare the overall price for the flight, food, seat selection, checked and carry on baggage, etc. to all inclusive tickets. If you can save money, then WOW Air can definitely get you from point A to point B. 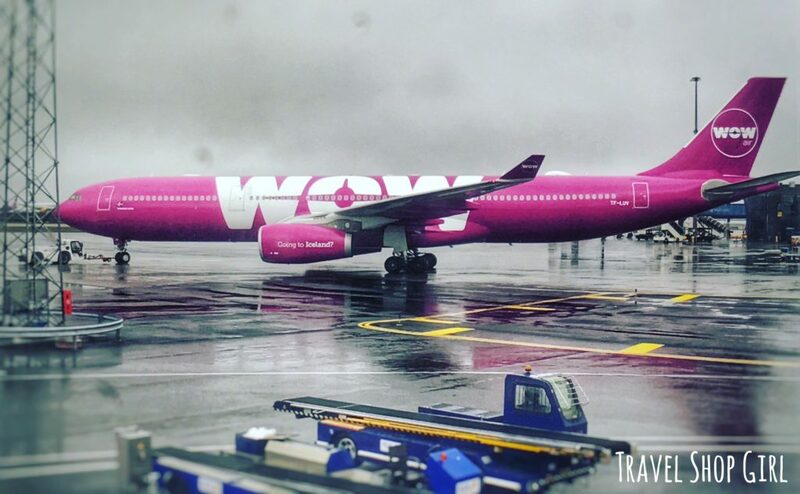 Have you flown WOW Air? What are your thoughts on this international carrier? 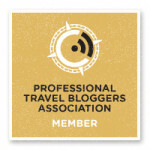 Read more TSG airline reviews here on the site. thanks for the advice, i’m confused about luggage. it says wow biz includes one checked and one carryon. I assume they are included in the cost, but after reading your article i’m not so sure. also, i’m considering a wow biz cause I want a larger seat. do the larger seats recline. Did you like the seat you picked where there was only one other seat next to yours – or would you have preferred the seat behind, with shoe-less passenger/extra leg room? I took WOW from SFO to FRA, through KEF. Boarding at SFO was standard. Nothing chaotic. Orderly, starting from the back of the plane. It was A330. I visited my airline lounge (Cathay Pacific) before taking off to KEF. To eat and drink before the flight. I never eat airplane food, even when flying to Asia on biz class. Only drink. I got my load of vodka before boarding. Flight was ok. Since I fly to Asia often, I hate paying “regular airlines” fare to Europe. These guys are insane. I can tavel to Asia, around Asia and back, for one KLM ticket to AMS. I slept most of the flight, so cant tell you anything about their food service. Going through passport control in KEF was a breeze. Fast, easy and no issues. Carry on item can be quite big, definitelly check their web site for allowable dimensions and weight. I can work out well. I am recommending WOW. 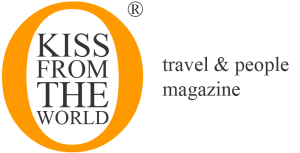 Air France, KLM, etc… can go to… you know where. Thanks Tino for sharing! I definitely agree with you and KEF is a great airport, too. Hi I am planning to travel with my infant on their premium(which I am assuming is their business class), is it same as in other Airlines? How comfortable is it for sleeping with a lap baby? Does seat becomes like bed? Thanks! 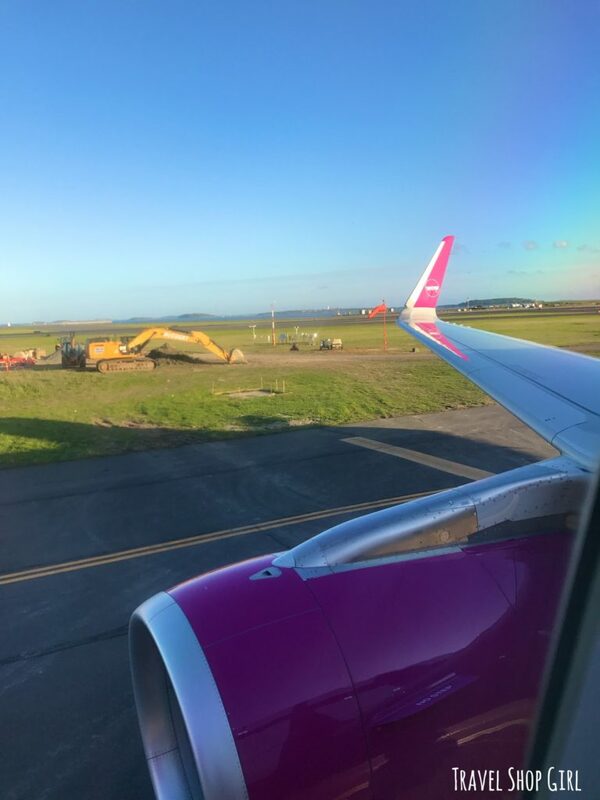 I had great time using WOW air from usa to India… Agree problems at Ketvick airport. Upgrade to business class was worth. 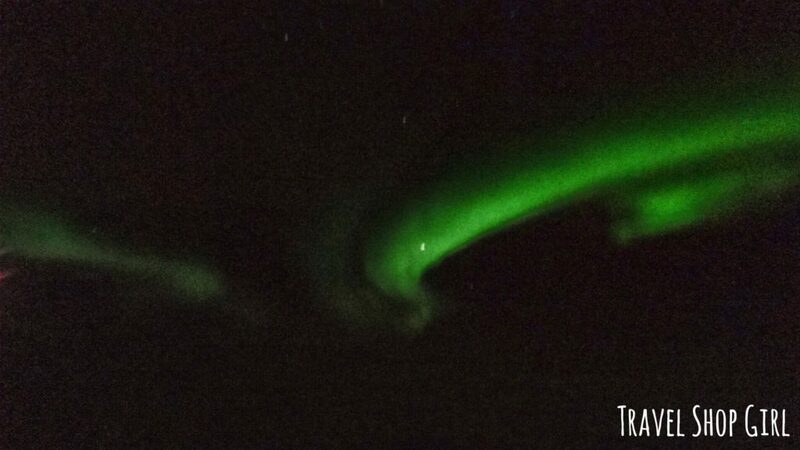 Bonus was to enjoy Northern Lights…..